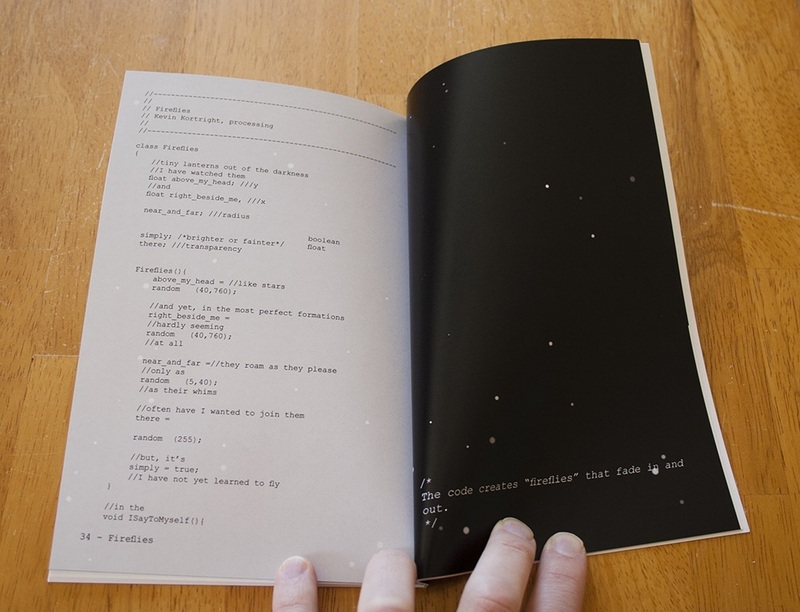 This book of Code Poetry emerged out of the assignment by the same name in my Art & Code & Interactivity (Fall 2015) course. Similar to my own Code Poem experience (see page 12), the guidelines were that it must be code, be a poem, and it must run. The students created an incredible collection of visual, audio, concrete, mystery, and philosophical poems. 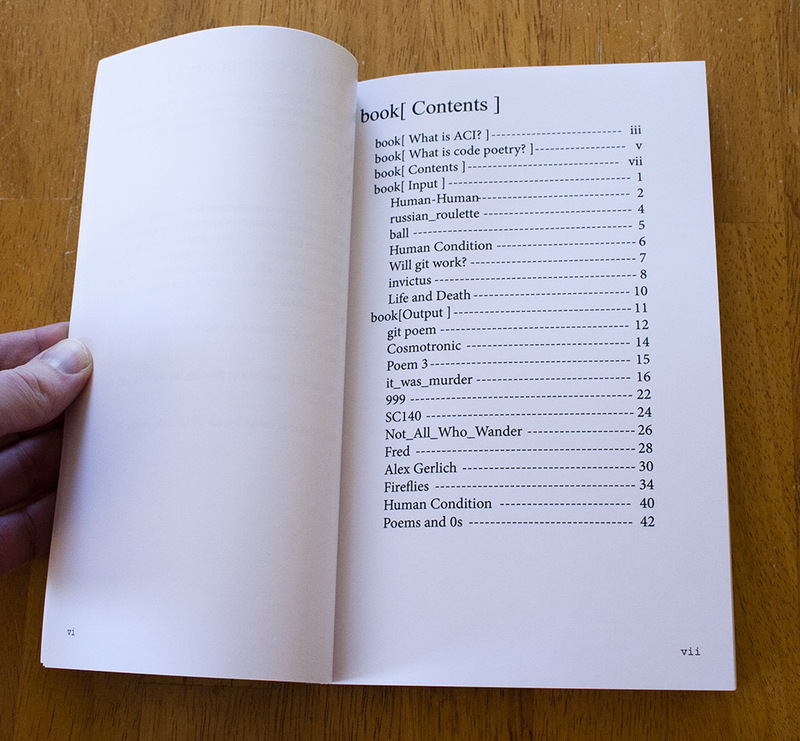 I facilitated a subset of students who collected the poems, organized them, and then edited the book. 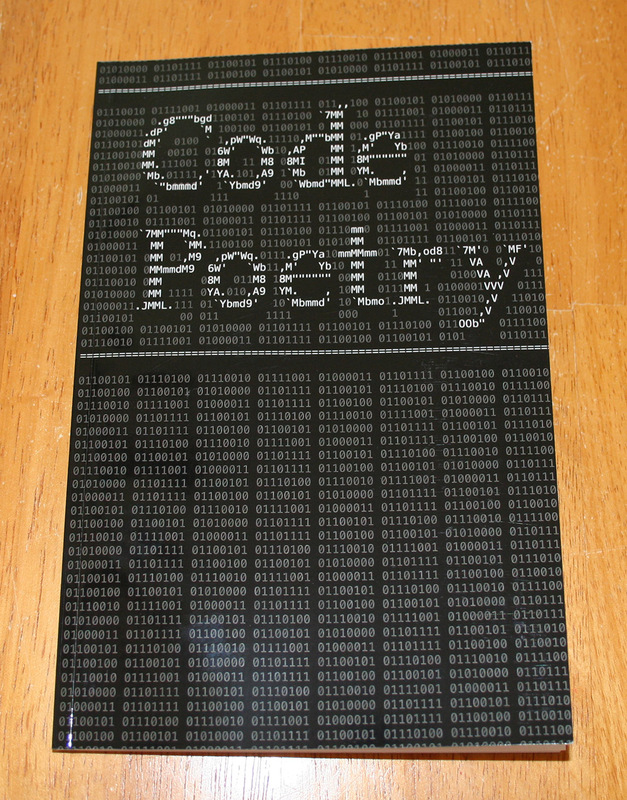 The Code Poetry book has already entered a private collection in England, the Rensselaer library, and the Joan Flasch artists’ book collection in the John M. Flaxman library at the School of the Art Institute of Chicago. 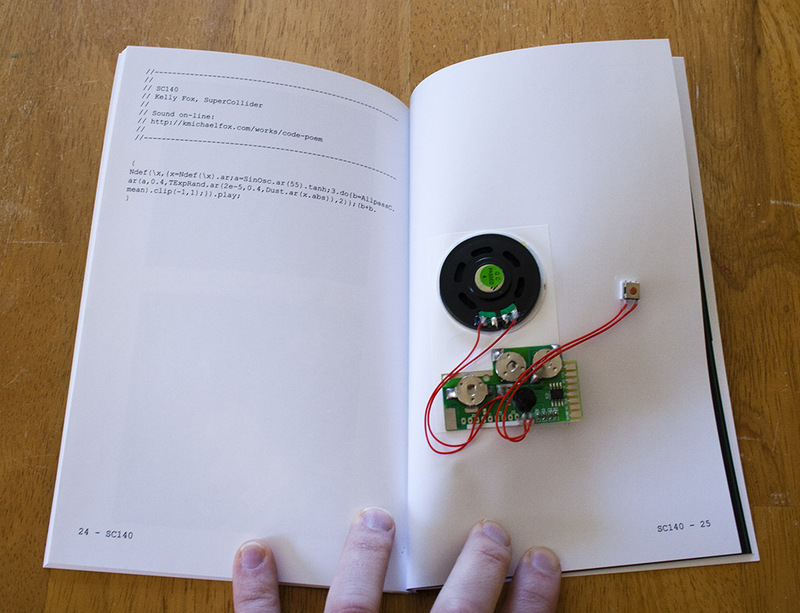 Note that the additional audio player does not come with the standard LuLu.com book purchase.